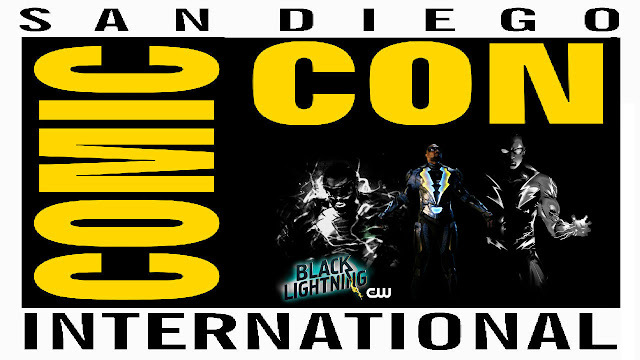 Comic Frontline: SDCC 2017: Black Lightning Panel & Trailer! SDCC 2017: Black Lightning Panel & Trailer! 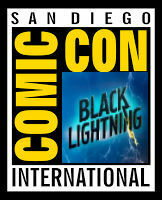 DC Entertainment and Warner Bros. Television have been dominating the small screen with hit shows like Arrow, The Flash, Supergirl, DC's Legends of Tomorrow and now Black Lightning they have cornered the market for live-action super heroics in our living rooms and with those shows returning DC Entertainment and Warner Bros. Television reign has no end in sight. Saturday night they took over SDCC 2017 for the Warner Bros. Television and DC Entertainment Screening Block panel featuring both screening of new footage and cast Q&As. Black Lightning Season 1 Premieres On The CW In 2018.